There is a wide range of books available about modelling, which can give you useful background information about starting your career modelling designer shoes or fashion. You can learn as much from a supermodel’s biography or autobiography as you can from a general guide book to modelling. A good book about models and the industry will tell you about the good things and the bad, and should prepare you for what to expect if you decide to go ahead and be a model. Books like “The Complete Guide for Models” features sections on all aspects of modelling, and includes contributions from agents, photographers, magazine editors and make-up and hair stylists. All these experts have advice and guidance to give and are quite often very candid about the life they lead and what is expected of the models. If you already know what sort of modelling career you want to follow, there’s probably a book out there that can help you. There are certainly books on hand-modelling, commercial modelling and child modelling. Some books focus specifically on modelling for black or Asian models, whilst others concentrate on hair, make-up and fashion tips. It’s not uncommon to see books on modelling written by ex-models. These can be useful, not only because the model has a true insider’s view of the lifestyle, but because she or he has lots of industry contacts, who will contribute to the book. These can also include useful resources such as contact names at agencies. Modelling agencies have also been known to contribute to modelling guides and, in the case of Wilhelmina, to write their own complete guide. Models’ autobiographies can be very revealing about the industry, and modelling life in general. Whilst they will talk about the glamour, travel and celebrity lifestyle, they will also highlight the difficulties of the career and you will learn a lot about what a model’s day to day life is really like. Whereas some of the other books may be very encouraging about the benefits of a modelling career, the autobiography will tell it like it is, and they’re worth reading so that you get the full picture of what you may be letting yourself in for. Reading in preparation for your modelling career is a good idea. You will get a feel for how the industry works and some tips on how to approach agents and how to decide which area of modelling is for you. You may even be put off the idea of being a model forever, but at least you’ve only paid out for the book. Fashion at that time was dominated by a few major fashion houses such as Chanel, rather than by individual designers as we see today. Fashion magazines like Vogue, would receive hundreds of transparencies or contact sheets from photographers – and would only work with three or four on a regular basis. In the 1930s, models still tended to be already well-known; writers or actresses or notable ladies. Modelling as a full time career was some time away, but the start of the Second World War in 1939 meant that any thoughts of fashions and fripperies were banished in Britain for nearly a decade. Although many women’s magazines still used hand-coloured line drawings to illustrate fashion items, key photographers were making their names by photographing elegant women wearing high fashion. Photographers like Louise Dahl-Wolfe, Norman Parkinson, Cecil Beaton and Horst P Horst all contributed to the way we view modelling photography today. Their use of light, props and a natural, rather than posed look for models was extremely creative for their time, but set the standard for many years to come. The emergence of women photographers was also important for modelling and the fashion industry. These women could not only see how to wear the clothes, but could anticipate the mood of the model, suggest appropriate settings for the shoot and bring their creative talents to bear on the final prints. Most 1930s fashion photography was black and white. Colour photography only came into general use during the Second World War. Fashion wasn’t the only industry to wake up to how pictures could sell products, however. Businesses were beginning to realise that using pictures of “real” people using their products would be more appealing to their customers, and commercial modelling was something that would really take off over the following years. When you decide to purchase Ice watches, it is usually because you want to save money on some of the finest watches ever made. 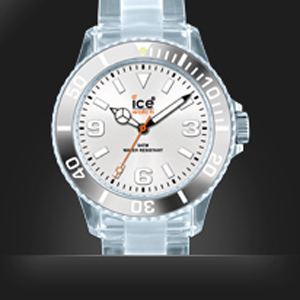 Ladies Ice watches are becoming increasingly sought after. But with so many designs and styles to choose from, it can be difficult to know which ones will best suit you and stay fashionable for years to come. As a result, there are a few things to look for in Burns Jewellers Ice Watches to ensure you receive a quality, stylish wristwatch. Diamond Dial – Everyone knows that diamonds are a girl’s best friend and when it comes to Ice watches; they don’t come much better. Faux diamond dials are incredibly classy and highly sought after. 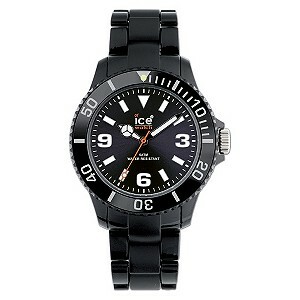 Look for Ice watches with a diamond dot dial; with a diamond for every hour on the watch face. The Date Display – When you frequently forget what the date is, it helps to choose used Ice watches with a date display. This displays the date through an aperture on the dial. The magnifying eye has become a recognised Ice design standard. The Fluted Bezel – Oyster bezel fluting originally served to ensure every watch was water proof. The aesthetic appearance proved popular and has come to be recognised as another classy watch signature feature. If you love this classic style, look for used Ice watches with the fluted bezel design. Women’s party dresses – what’s your style? If you’re thinking of buying women’s party dresses, make sure you know what you’re looking for. In today’s fashion market, women’s party dresses are represented by a wide range of designers and labels. From a formal suit to beachwear, you can find a huge variety of clothing. Don’t just buy women’s party dresses for the sake of it, though; spend your money on quality clothes that will make you look great. The styles that suit you depend on a range of things, including your size, your height, your age, and your hobbies. Designer surf-wear, for example, will only really look good on someone who has the attitude and physique of a surfer. Whilst very slim men look great in lots of layers, those who are a lot bigger will find that extra layers simply pad them out more and can be uncomfortable as well as unflattering. Fortunately, it’s possible to find women’s party dresses that work for you no matter who you are or what you look like. You can find your style by getting advice from store assistants, your partner or your friends. Look at the people you know and who you think dress well. Look at the styles of celebrity men who have a similar build to you, and see if you can pick out the basic elements of their look. 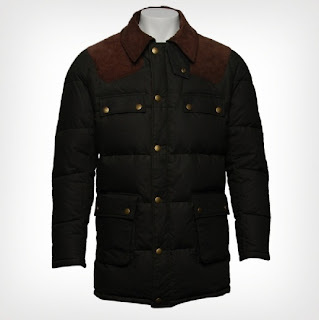 It may be a tailored white shirt with jeans, or sharply-cut trousers with a comfortable jumper layered with a t-shirt. Even if your style icons dress in designer labels you can’t afford, you can still find women’s party dresses that give you the look you’re after without a hefty price tag. A few men are confident enough to wear more outrageous designs or high-fashion accessories, and they can carry their look off with great style. For most men, however, it’s about being comfortable and looking good, rather than wearing the very latest thing, which is why women’s designer clothing labels often concentrate on classic cuts, great fabrics and top quality craftsmanship. Build a wardrobe where you can mix and match items from different labels; where you have smart tailoring when you need it and comfortable casuals for the days when you’re out with friends or going out in town. If you’re comfortable with the clothes you’re wearing, you’ll automatically be more self-confident inside, and you’ll look and feel great. If you are considering taking your Rolex watch to a pawnbroker in order to obtain a secured loan, here’s a brief guide to how the system works. Like a bank, a pawnbroker earns income on the interest that is charged on the loan secured by an item such as a piece of jewellery from good retailers like http://www.thejewellerychannel.tv/, a painting, inexpensive branded Ice Watches and high value Rolex watches. The customer and the pawnbroker agree the sum to be advanced, and the pawnbroker presents the customer with a document written under the Consumer Credit Act 1974 containing the terms and conditions of the loan. The customer also receives a pawn-receipt for presentation when redeeming the goods. If this receipt is later lost, the customer should inform the pawnbroker immediately, incase anyone unlawfully tries to redeem the goods. The agreement is usually for a period of six months and the customer is entitled to redeem property by payment of the original loan plus the monthly interest due at any time during the contract period. When the loan and the interest are paid, the goods are returned to the customer. Longer loan periods are negotiable, so for example you may request a longer period for a loan against a Rolex watch than you might against a sterling silver bracelet, or you can take the standard six months, then pay off the interest and begin a new agreement. At the end of the period of the agreement, the pawnbroker will give the customer 14 days notice to redeem the goods before he is entitled to sell them to recover the sum originally loaned. If the goods aren’t redeemed and the agreement isn’t renewed, the pawnbroker can sell the goods based on a true market value. The reason for this is that you may have missed the interest payments on your Rolex watch but if it is sold you will be entitled to the proceeds, minus the sum of the original loan and interest payments due to the pawnbroker. Contrary to popular belief, the pawnbroker doesn’t want to acquire your goods – he is in the business of lending money, not retailing a wide variety of goods. He would much rather return your Rolex watch to you in exchange for the loan and interest than have to take time consuming steps to sell it. Also much of a pawnbroker’s business is repeat transactions – often with the self-same item used as security. Individuals requiring immediate cashflow solutions may find the easy accessibility of the pawnbroker more user-friendly than any bank or building society, where there is form-filling and waiting on decisions as to whether you will be granted a loan. As young children grow up, they learn to find balance in their feet so parents are always eager to find childrens shoes that provide big care for little feet. Childrens shoes are extremely important for growing children. As babies become toddlers, and toddlers become children, they go through a big learning curve involving balance, coordination and spacial awareness. Growing children are curious creatures, wanting to see, touch and taste everything in their sight. They are still learning to make the most of their senses and this can mean that they rarely stay still. The spend so much time on their feet, running, jumping, skipping and hopping, so comfortable childrens shoes are essential as they grow up. You worry about your children's teeth, eyes, and other parts of the body. You teach them how to wash, brush and groom properly, but what do you teach them about their feet? What do you know about your child's feet and do you really understand the importance of investing in a quality pairs of childrens shoes? Your child's still-developing feet that have to carry the entire weight of the body through a lifetime. So now is the the crucial time to make sure they are healthy. Neglecting foot health is a common mistake and invites a whole host of problems in adulthood. The damages done by poor foot health can affect other areas such as the back and legs. For growing children, poor foot health also means bad posture, so purchasing the best childrens shoes is not a futile expense. The style of childrens shoes, do not necessarily reveal a lot about the child, but the child's parents, the parent's sense of style and even the parent's social status. So opting for style when shopping for childrens shoes is also very important. Today, in the childrens shoes and childrens clothing market, there are many options that offer both style and comfort for growing kids. Nobody said that shopping for childrens shoes would be an easy task. Shopping for childrens shoes, clothes and accessories on the high street can be demanding and difficult. That is why the online market for childrens clothing and shoes has grown immensely over the years. Today, you will find many options. If you are a fan of luxury clothing then it goes without saying that you’re a fan of shopping. But retail therapy has changed in the past decade, with the rise of online shopping. Is this a good thing? Does the internet detract from the shopping experience? Were things better before you could click onto a website and pickup a piece of glamorous garb? Is it harder to get real quality clothing? The simple answer is no, and we’ll take a look at why the world of retail is only richer for the internet phenomenon. Before the internet arrived people had no problem with heading out into town to browse the selection in the shops, and the truth is that people still do this, just as much as ever most part. The fact that internet shopping is possible does not mean that the streets are now empty on a Saturday afternoon. Just as before the rise of online retail therapy, there are still myriad shoppers pounding the pavement in search of bargains. The internet makes shopping easier because you can now buy brilliant pieces when shops are closed – what could be better? Although, this can be bad news for your bank balance! You can buy the same clothes online as in the shops but it is just more convenient and you can even shop from your desk at work – just don’t get caught! Most retailers of luxury clothing have websites nowadays, such as Aspecto, and that means that if you can’t make it to the shops, the shops can come to you.